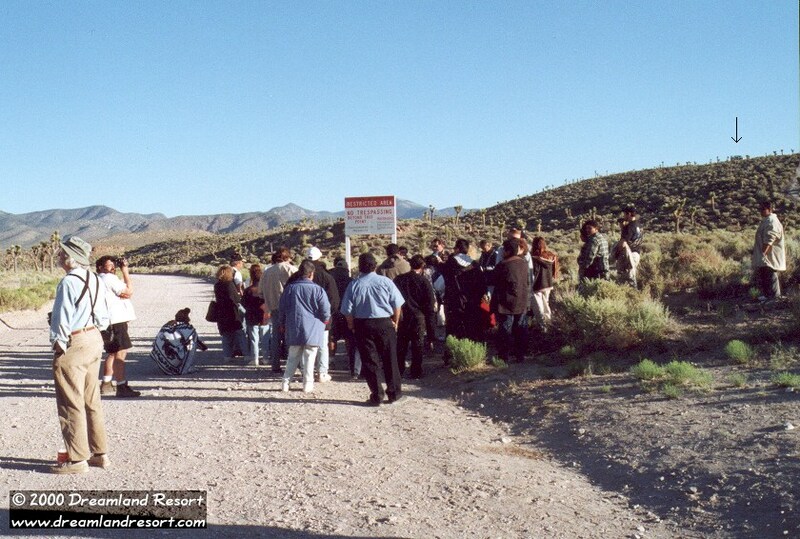 The Area 51 Peoples Rally was started by Norio Hayakawa in 1998 to protest against the secrecy around Area 51, and the violation of environmental and other laws, which may have led to the death of several former workers at the base. Norio has recently retired from his active Area 51 research work, and has passed on his mission to the Dreamland Resort. This year's Peoples Rally was held in Norios spirit, as usual on 6/6/2000, at 6am right by the signs on Groom Lake Road. Long-time Area 51 activist Norio Hayakawa, founder of the Peoples Rally, opened the 2000 Rally on the weekend (6/3-6/4/00), together with Dreamland Resort founder and webmaster Joerg Arnu. Norio entertained the visitors with his famous one-man-band country music. It was a casual event, with plenty of time for everyone to discuss issues around Area 51. On 6/5/00 several seminars on various subjects around Area 51 were held at the Little A'Le'Inn in Rachel by talk radio host Anthony J. Hilder and several other speakers. In the evening most participants went to camp near the signs on Groom Lake Road, only a few hundred yards from the border of the restricted area. Discussions went on by the campfire until late at night, and some stayed up all night. 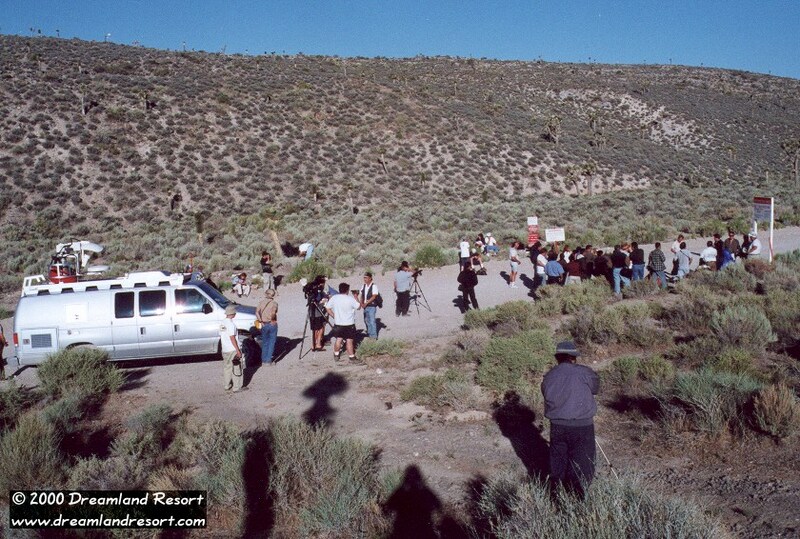 The actual Rally on 6/6/2000 at 6am was a peaceful gathering by the warning signs on Groom Lake Road, with the base security watching from a nearby hill. The event was covered by KVBC Las Vegas, Channel 3 (NBC), and while Anthony Hilder spoke to the crowd, Joerg Arnu answered the reporter's questions and showed them first hand evidence for some of the concerns addressed by the Peoples Rally. After the peaceful end of the Rally everyone went back to Rachel for a good breakfast at the Little A'Le'Inn. 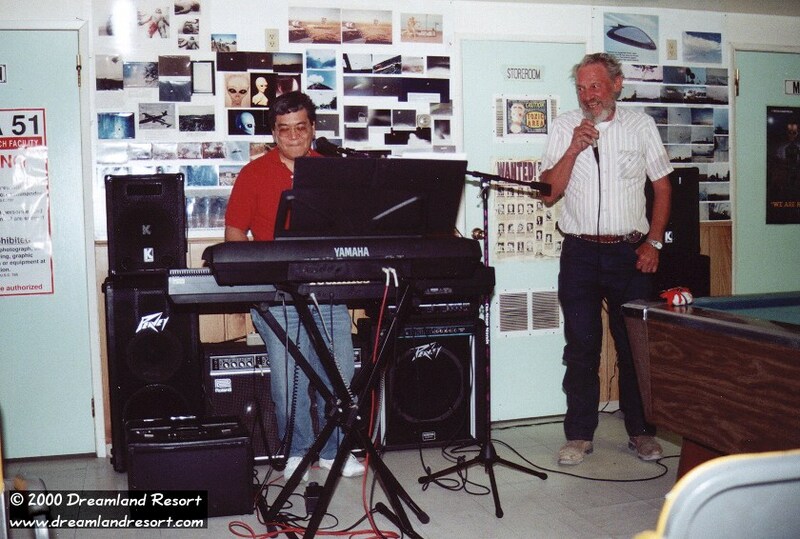 The founder of the Area 51 Peoples Rally, Norio Hayakawa, entertained the visitors with his famous one-man country music. He was joined for some songs by Joe Travis, the owner of the Little A'Le'Inn in Rachel, where the event took place. Dreamland Resort Founder and Webmaster Joerg Arnu is interviewed by talk radio host Anthony J. Hilder, right outside the border of the restricted area. In the background the Area 51 North Gate Guard Shack and the warning signs. On 6/6/2000, at 6am, the paticipants of the Peoples Rally gathered by the signs on Groom Lake Road for a peaceful demonstration. Many had spent the night camping nearby on public land. The cammos watched the event from a nearby hill (arrow), keeping a low profile. The Peoples Rally was covered by KVBC Las Vegas, Channel 3 (NBC).